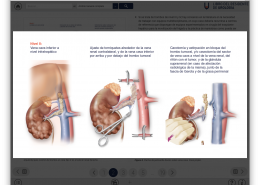 Medical WebApp is a platform designed to display manuals and medical books in an interactive, multi-platform environment with access to resources which are particularly useful for healthcare professionals. 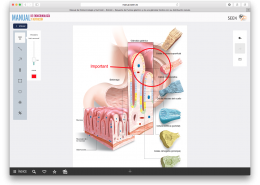 Healthcare professionals must have manuals or medical books at hand and as when needed during their daily professional work. 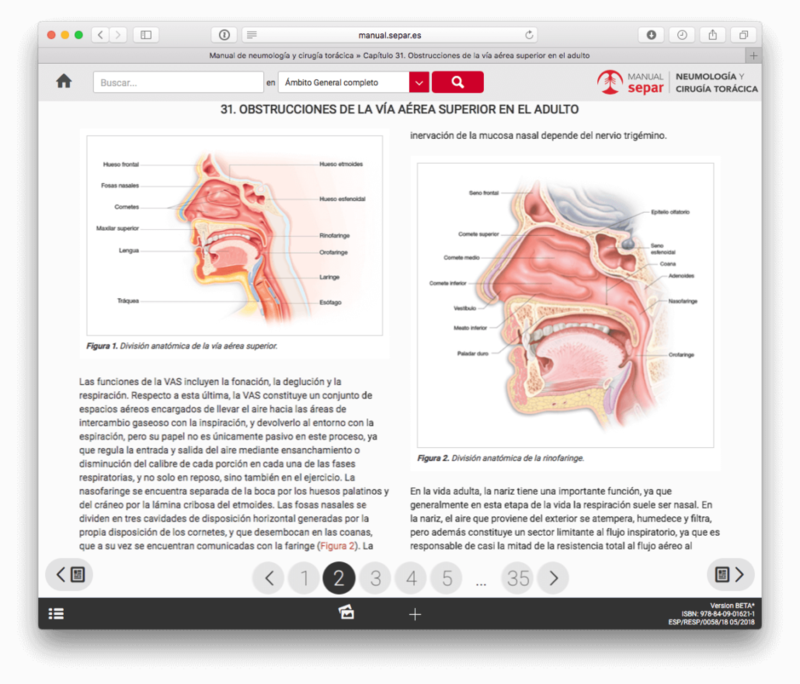 Therefore, it is necessary that contents are always up to date and easily and instantly accessible from mobile devices (telephones and tablets), both online and offline. 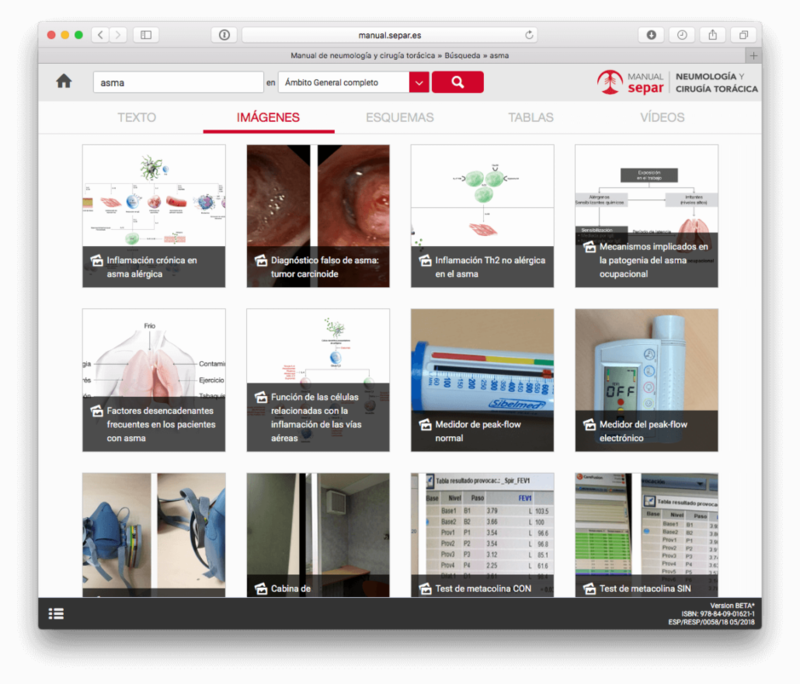 In order to fulfil these needs, ec-europe has developed the Medical WebApp platform. 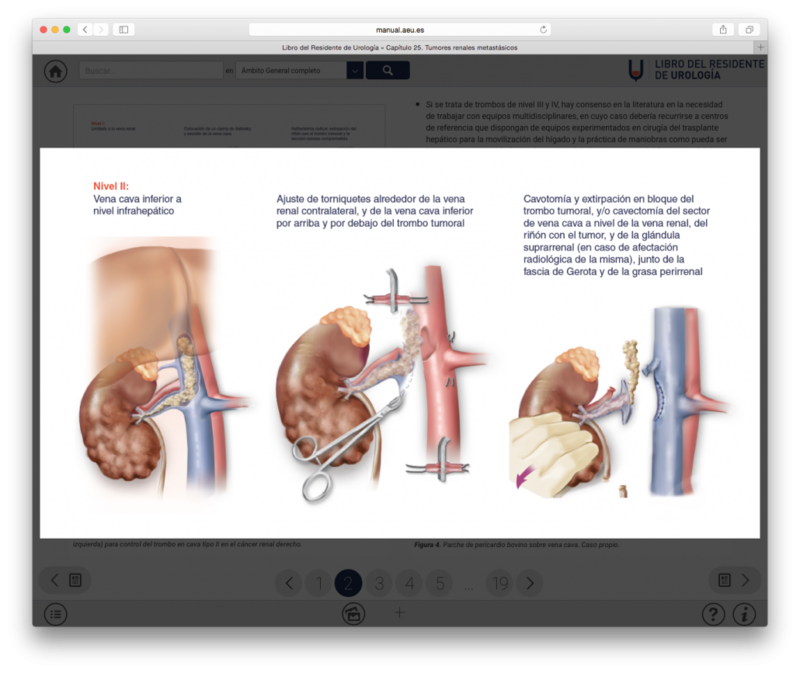 In addition to converting a manual or book into digital format, it includes technology that provides doctors with access to specific medical information of particular interest without having to exit the application. 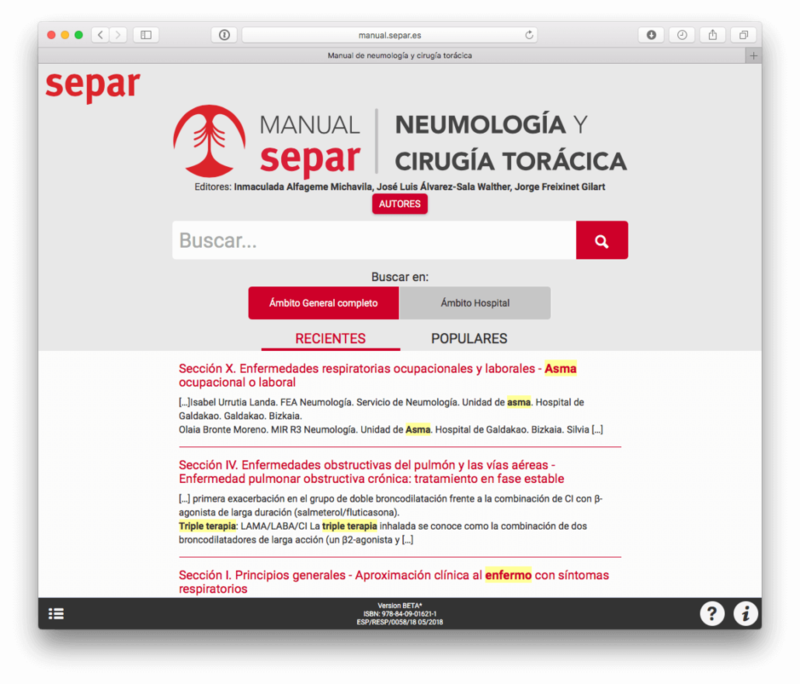 Obtain information on all marketed drugs containing any active ingredient mentioned in the WebApp content. 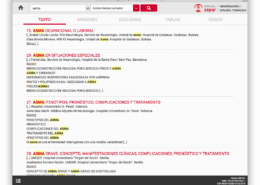 View abstracts of all scientific articles mentioned in the work. 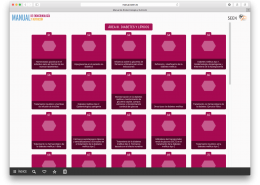 Web pages can currently be displayed on a variety of devices, with each device having its own specific features: screen size, resolution, CPU power and memory capacity, to mention but a few. 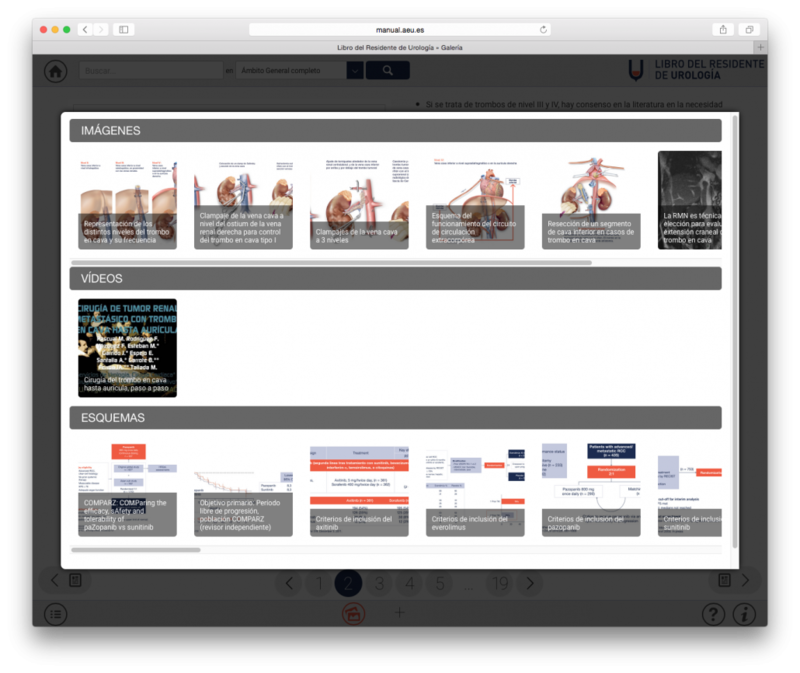 With current technology, web pages display well on any device. The Medical WebApp has been created in HTML5, allowing it to be accessed from all kinds of devices (computers: PC/Mac, telephones and tablets: iOS, Android and Windows) and web browsers (Internet Explorer, Chrome, Firefox and Safari). In addition, it has been designed using adaptable or adaptive web design technology, known by the acronym RWD (Responsive Web Design), that allows adjusting the appearance of web pages to the device used to view them. 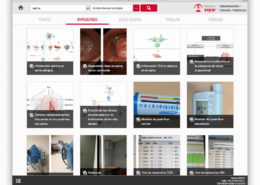 This provides healthcare professionals with access to manuals, both from hospital computers and from their tablets or telephones, and allows them to view the adapted content on the device they are using at any particular moment in time. 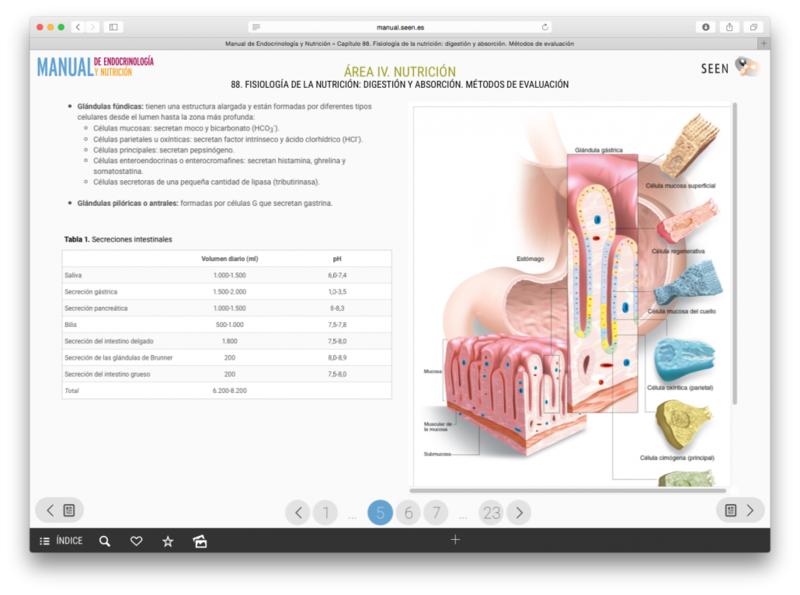 The technology used for developing the WebApp allows resources such as tables, charts, illustrations, images, medical videos, questionnaires and medical calculators to be added to the content. 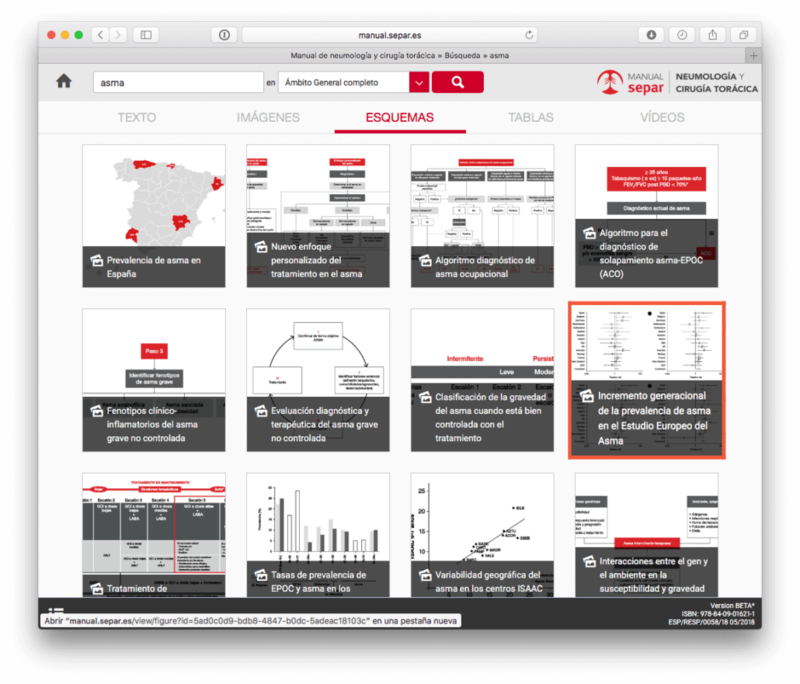 Tables and charts are incorporated into the content in vector format. 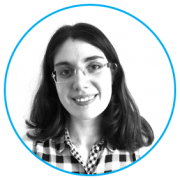 In this way, when displayed on a device with a retina display or a very high-quality screen, they are shown with the highest quality permitted by the device. 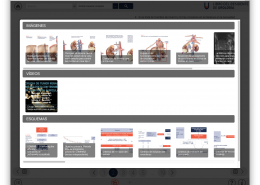 The essence of the Medical WebApp is the user’s ability to share information. 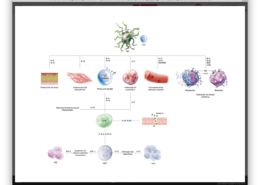 Tables can be copied and pasted in “text” format and downloaded in a graphics format. 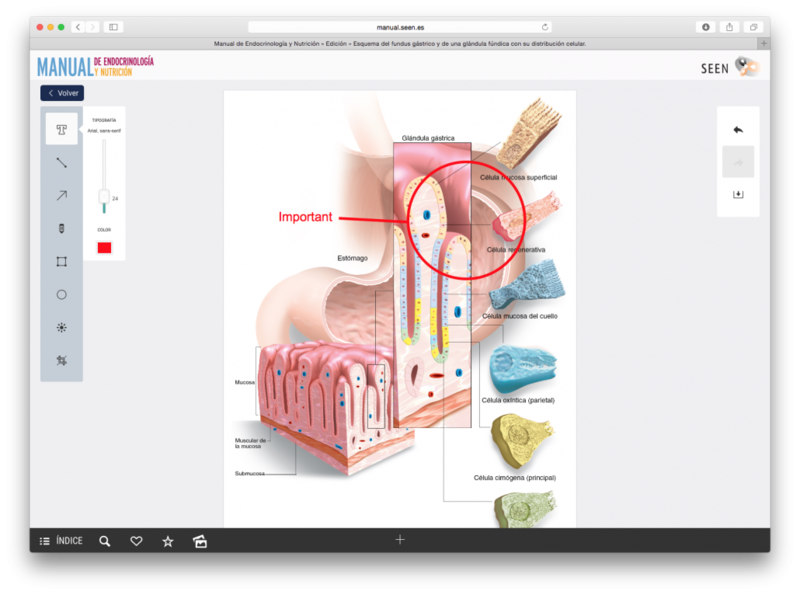 Charts, illustrations and images can be downloaded from a multimedia gallery to then be used in medical presentations or posters, for example. 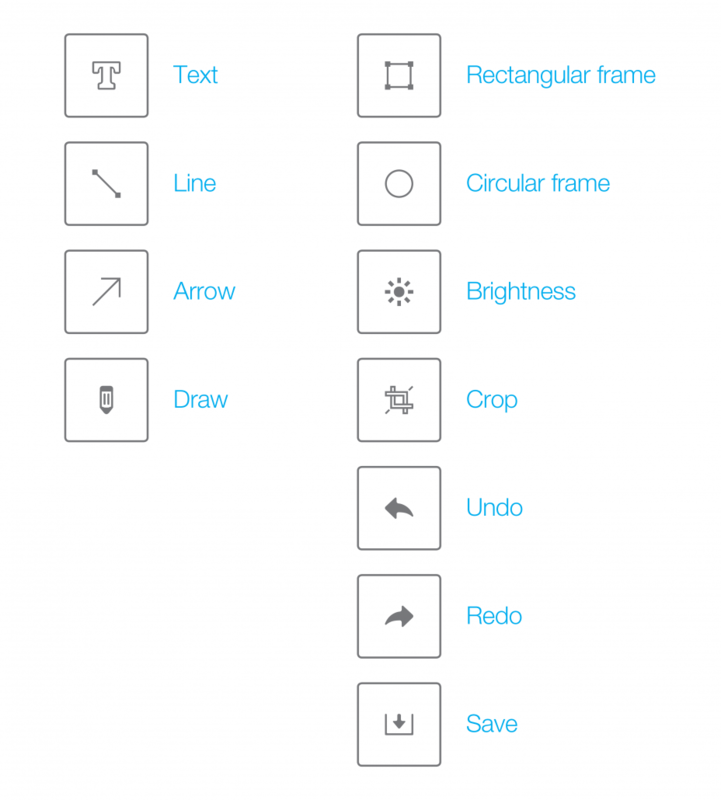 The WebApp includes tools for editing tables and charts. All users need to do is select the resource to be edited, modify it and then download it. 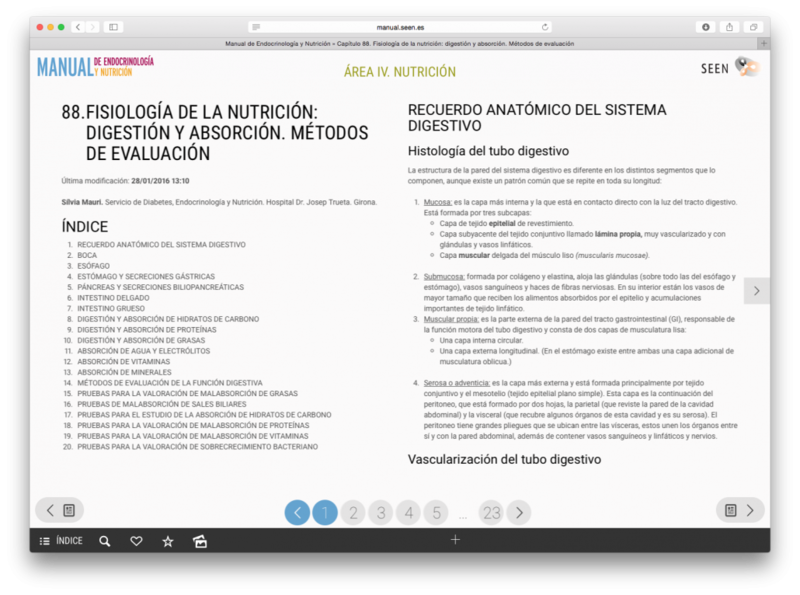 In the lower bar of the WebApp, a button provides access to the full menu of the book/manual. 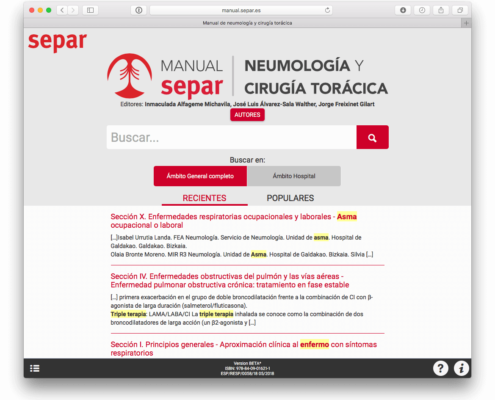 From this menu, users can search and find content immediately, whether the manual is structured by chapters or by layers (sections and subsections). 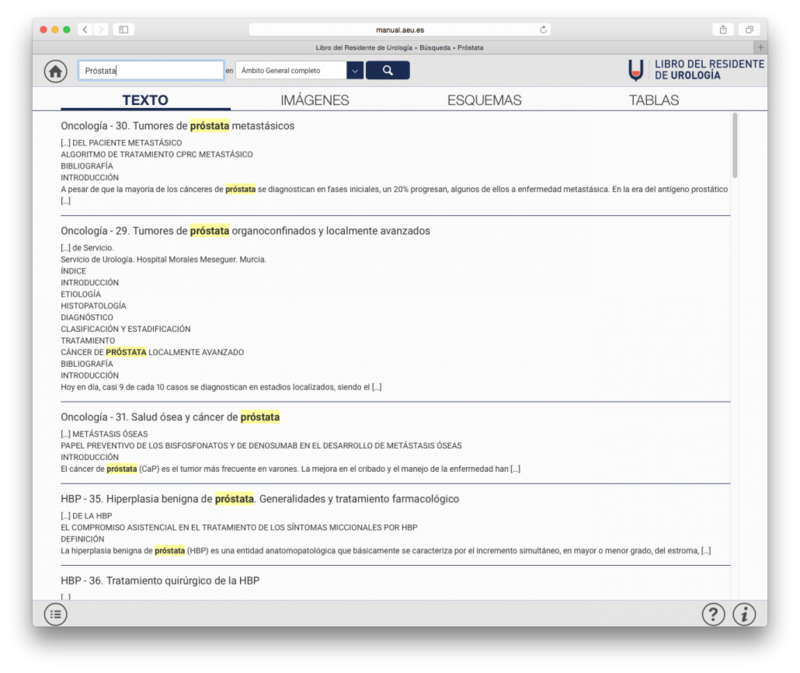 The Medical WebApp contains a Google-like search engine. 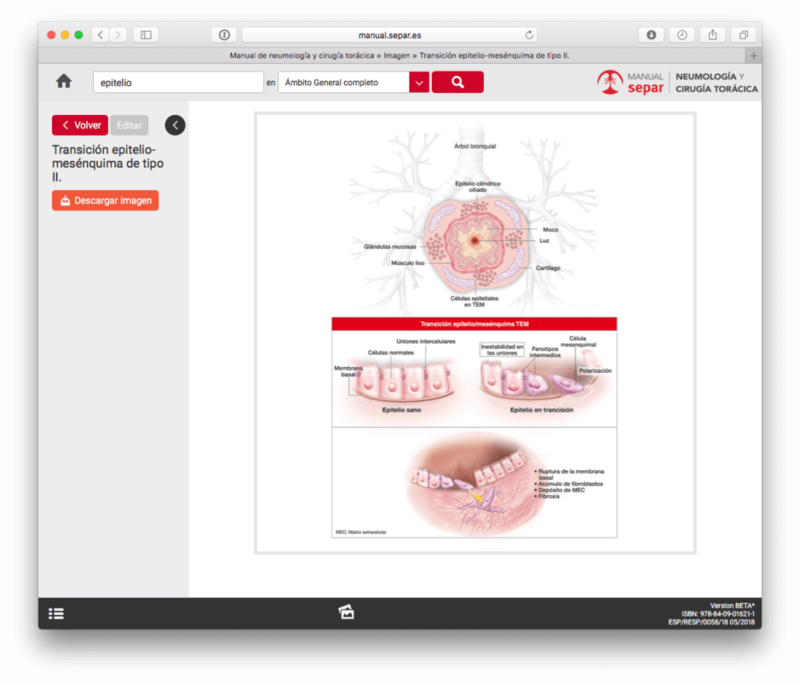 Results for both texts and charts, tables or images of the book can be found in a single search. 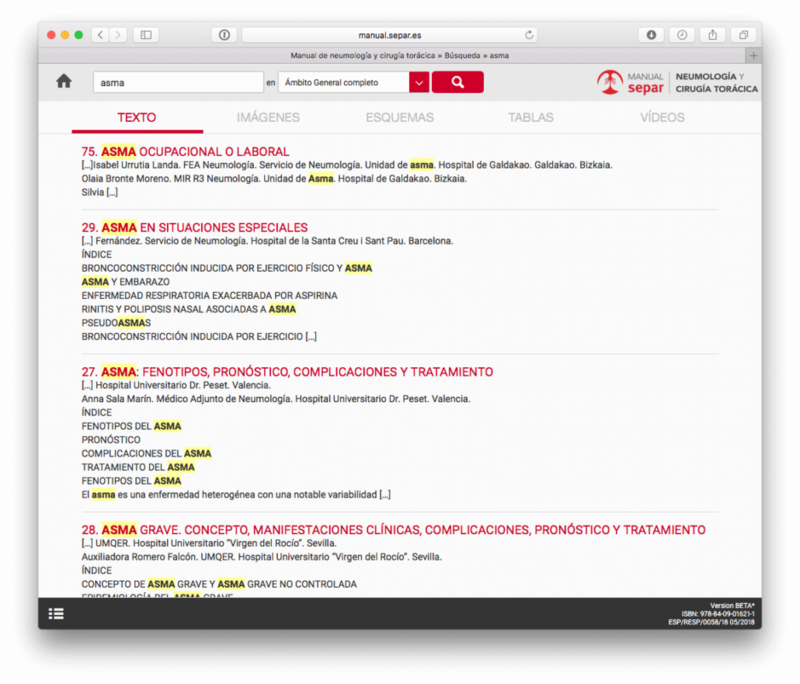 In any part of the Manual in which an active ingredient is mentioned, the WebApp’s integration with PR Vademecum allows users to view the characteristics of that ingredient without having to exit the web. Among these characteristics is its translation into various languages, its chemical symbol, the ATC code to which it belongs, as well as the marketed drugs containing that substance. 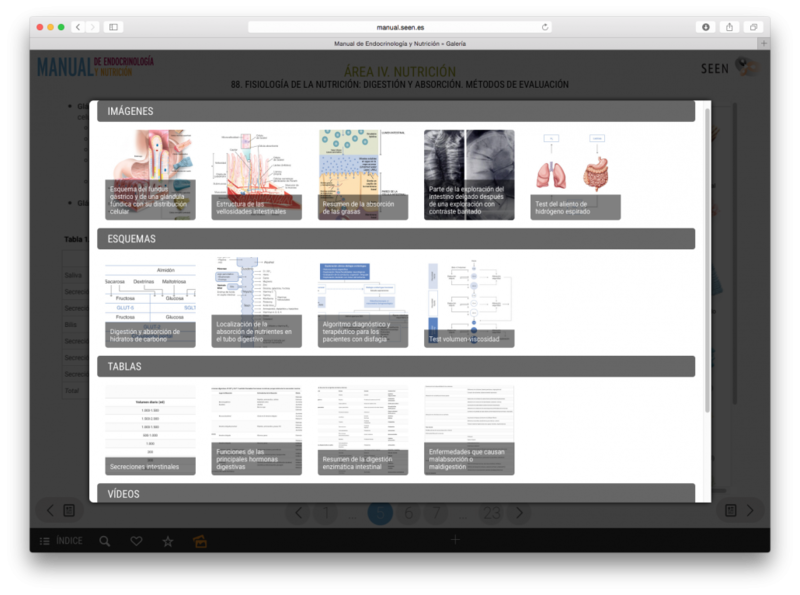 By clicking on a drug, the SPC and package leaflet can be downloaded (information source: AEMPS, WHO and PR Vademecum). 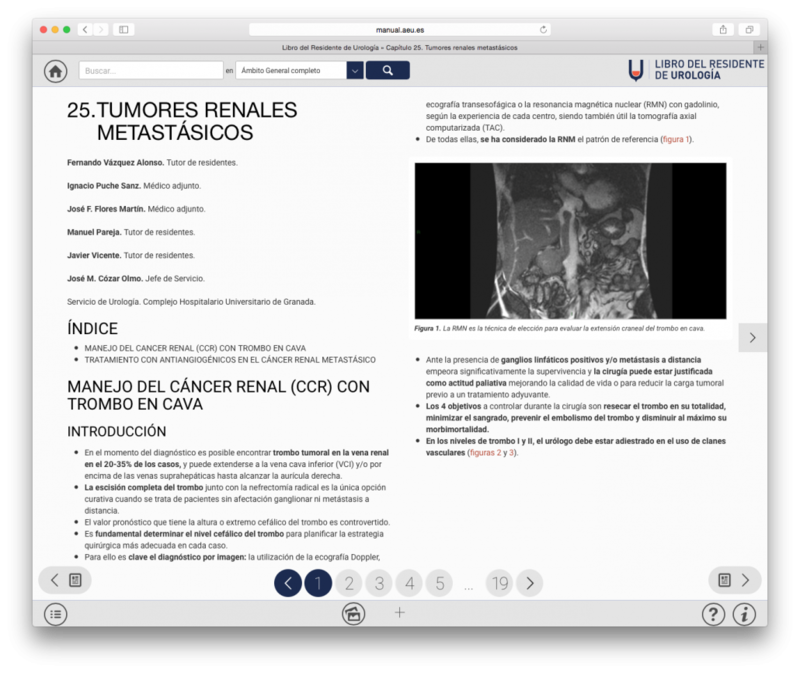 The Medical WebApp is technologically integrated with PubMed, so that the abstract of any scientific article mentioned in the work can be displayed without having to exit the web. 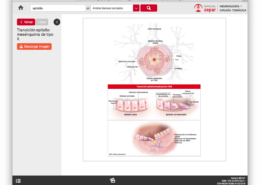 The WebApp permits an instant and separate download in PDF format of different chapters of a book. The file created can be printed and saved and keeps the existing hyperlinks, whether to PR Vademecum or to the abstracts of the scientific articles mentioned in the text. In order to manage and update the WebApp, ec-europe has created a content manager intended for content authors. 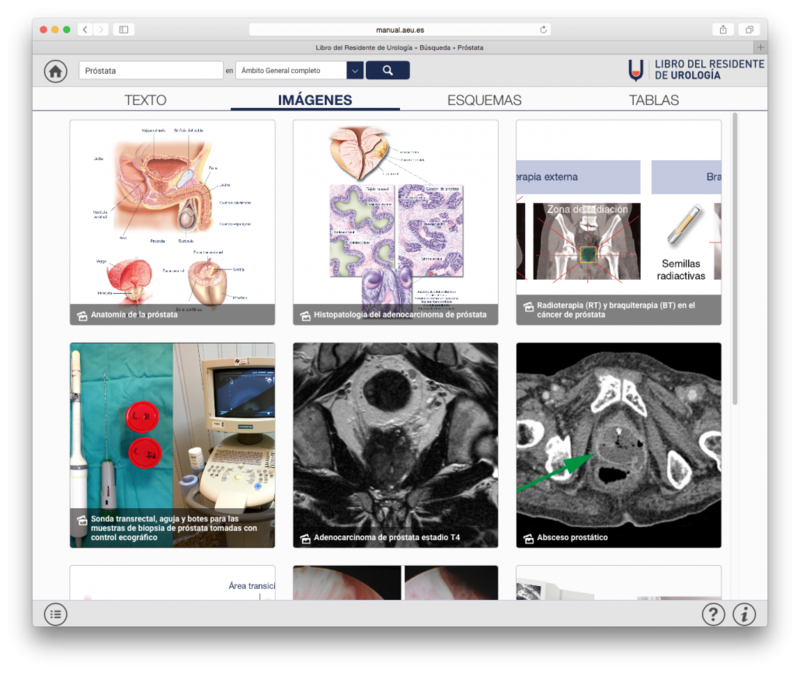 A content management system (more commonly known as CMS) is an IT programme used to create a support structure (framework) for the creation and administration of content by administrators, editors, proofreaders and authors of the Medical WebApp. 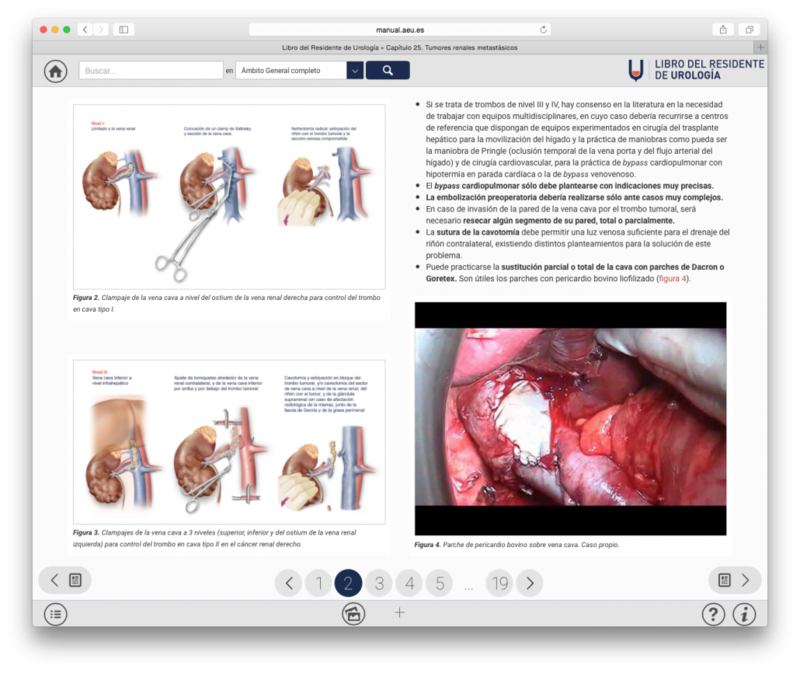 The Medical WebApp has been designed both to convert and adapt existing books to this new format and to create a medical company manual from scratch. 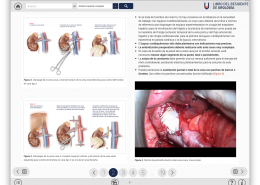 In this latter case, the editorial process is complex as it involves the creation of different chapters by one or more doctors, coordinated and supervised by other professionals. 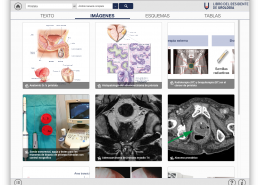 To be able to coordinate these projects, ec-europe has created Book Tool, its own content manager, allowing editorial works of the complexity described above to be coordinated and managed. 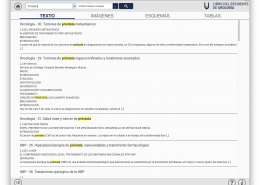 The tool allows the coordination of users and permissions; the collaboration of multiple users on the same job, as well as the dynamic management of sections and chapters of the book, enabling users to add, delete or move chapters or sections of the book at any time without this causing any problem. The tools authors can use in the creative process are the most common ones: Microsoft Word, Excel, PowerPoint and Adobe Acrobat. 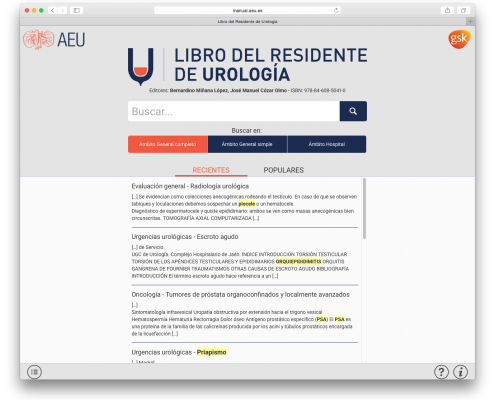 Doctors can write content offline and must only be connected to download documents to be edited and to upload possible modifications made to their material. 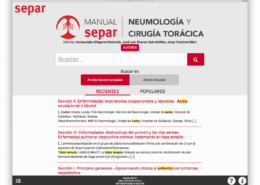 DESCRIPTION: The Manual SEPAR has been written by more than 400 pulmonologists from 93 hospitals throughout Spain. 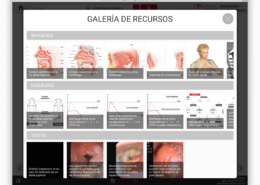 It consists of 120 chapters and numerous figures, charts and videos. 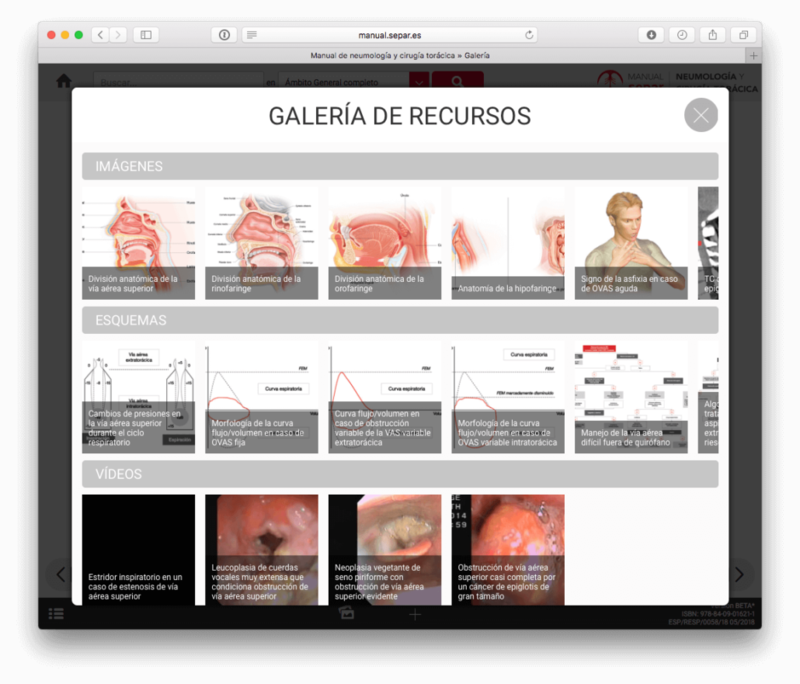 The aim of this project is providing updated information to its users, converting it into a support material during the daily clinical practice of the professionals who use it. The Manual will provide regular updates depending on the apparition of relevant updates. 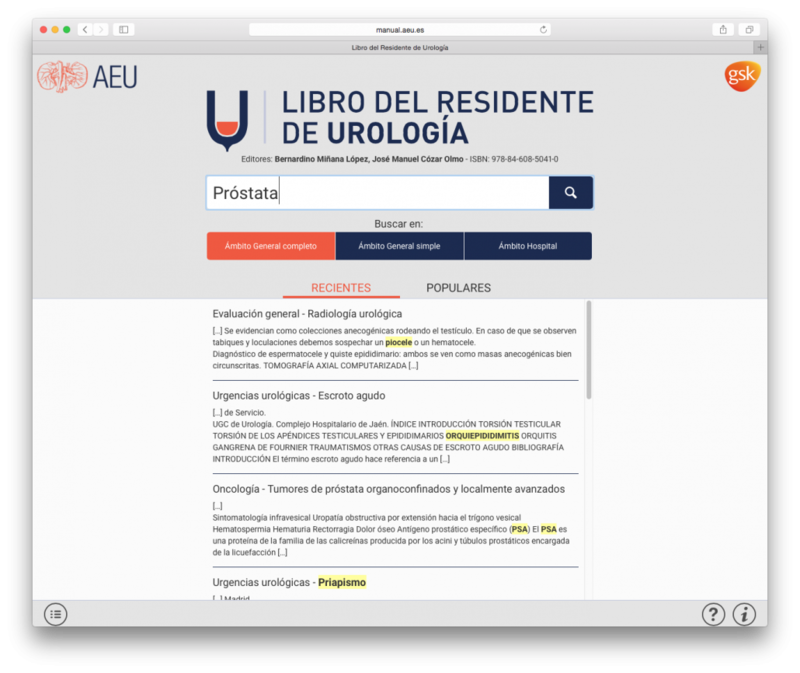 DESCRIPTION: The Book of the Resident of Urology has been prepared by 265 urologists from 74 hospitals with urology departments in Spain. 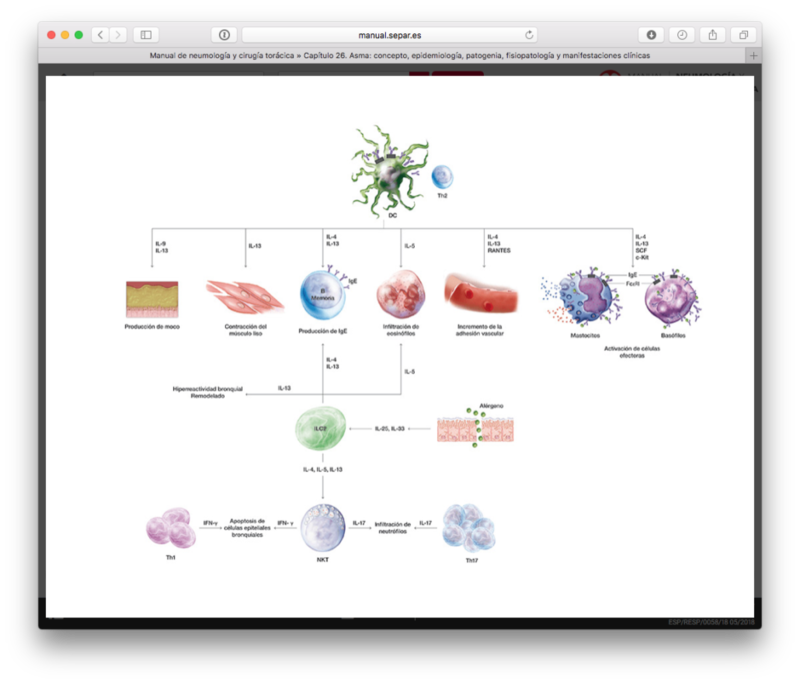 It consists of 78 chapters (1.600 pages) and it contains about 100 figures, 450 tables, 400 images and 600 minutes of video. 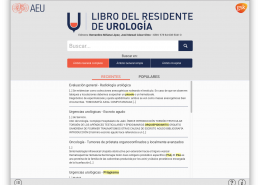 This project was created with the main goal of becoming the Urology’s Google, to improve quality of care in urology and to provide the last scientific evidence for all the urology areas by using new technologies and thus, facilitate access information to professionals in any environment (consultation with the patient, operating room, etc.). The Book will provide regular updates depending on the apparition of relevant updates. 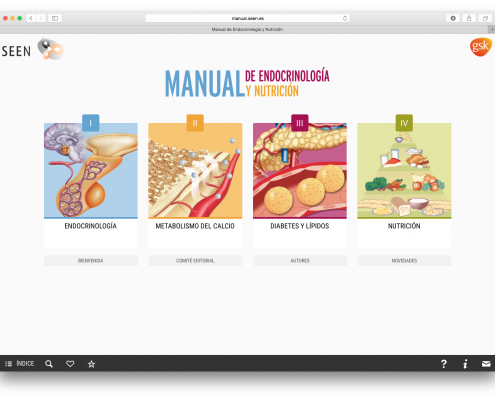 DESCRIPTION: The Manual of Endocrinology and Nutrition has been prepared by 230 specialists from 86 Spanish hospitals. 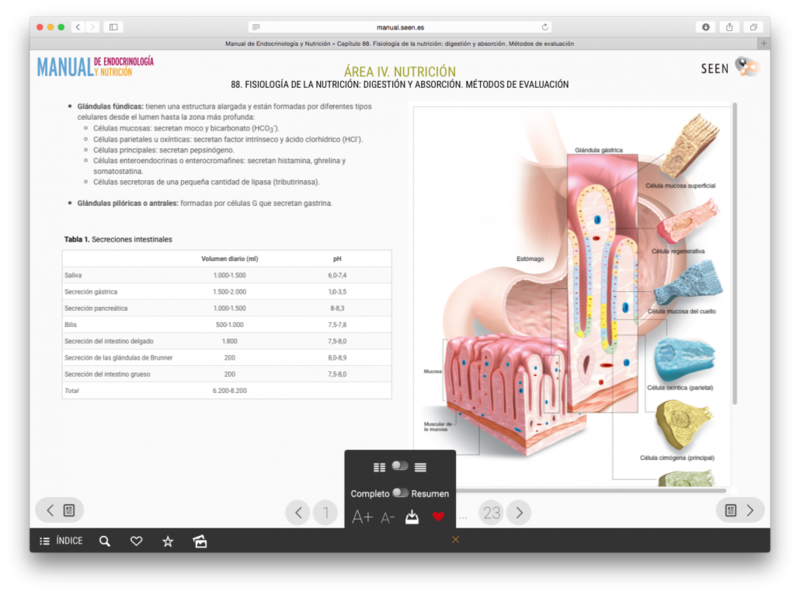 It consists of 117 chapters (2,800 pages) and contains about 350 figures, 450 tables, 250 images and over 1,500 consulted bibliographies. 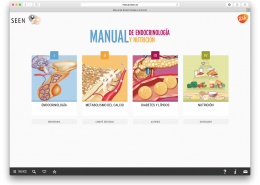 This Manual has additional features such as the use of Favorites, Starred chapters and Calculator tool. 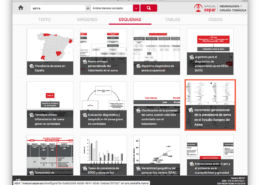 The editorial project and technological development of the platform took place from December 2014 to November 2015. 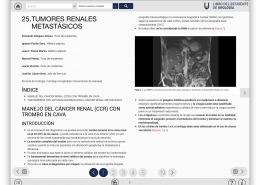 It was launched in December 2015 and its contents will be updated based on the occurrence of relevant updates.